Some promotions and appointments have been made among the men who share a passion to create discipleship ministries to national political leaders in countries on the continent of Africa. Jon Cassel of Senegal has been named Capitol Ministries Africa Continental Coordinator. In that position he will oversee recruiting and ministry plantings in the more than 50 nations on the continent. 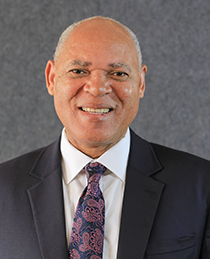 Pastor Raymond Koffi has been named to replace Cassel as Director of non-English speaking African countries. Pastor Koffi will retain his position as Ministry Leader in Cameroun. Working with Cassel and Pastor Koffi is Obi Onwuzurumba who remains in his position as Director of English-speaking African nations. Joining them is Lionel Milongo of Congo Brazzaville who has been appointed to work in some of the day to day responsibilities alongside Cassel. Cassel said Milongo is an excellent addition to the Capitol Ministries’ Africa team. “Lionel is an excellent bilingual communicator who shares the Capitol Ministries passion of supporting Christian Public Servants across Africa in remaining true to their Christian values and representing their constituents well in keeping with God’s precepts,” Cassel said. Pastor Koffi recently represented Capitol Ministries at the African Biblical Leadership Initiative (ABLI) Forum held in Yaoundé, Cameroun where he met with several political leaders interested in establishing a ministry in their countries. Follow up trips have been planned. The Capitol Ministries’ 2018 Autumn African Training Conference in Yaoundé, Cameroon, which will draw CM representatives from across Africa, is being planned and organized by Pastor Koffi. The conference will be held at the end of October after the Camerounian presidential elections. As Africa Continental Coordinator, Cassel is charged with overseeing all of Capitol Ministries work on the African continent. Well-known, respected, and well-liked in Africa after working there for decades with The Christian Broadcasting Network (CBN), Cassel has recruited a number of talented and dedicated men who have been named to Capitol Ministries posts. One of CM’s most prolific ministry planters, since 2014 Cassel has initiated and helped birth more than a dozen CM Africa ministries. Cassel also serves as the regional director for the French-, Portuguese-, and Spanish-speaking countries in Africa for CBN, based in Dakar, Senegal. Cassel speaks several languages, but not Spanish, so he recently worked with Oscar Zamora, CM’s Director for Latin America, to establish a ministry to political leaders in the Spanish-speaking African country Equatorial Guinea. If you wish to learn more about Capitol Ministries work in Africa, click here.